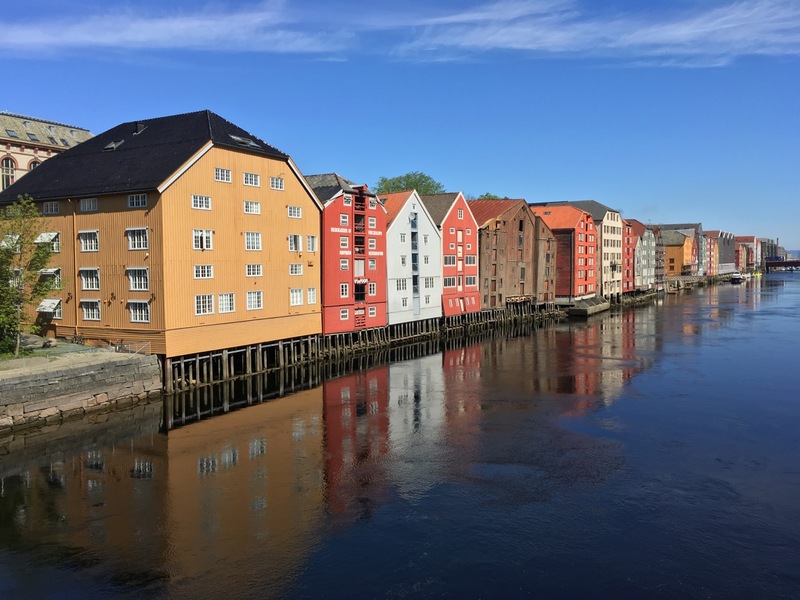 Guidebook writer David Nikel takes us through his adopted hometown of Trondheim, where history and modernity walk happily hand in hand. I’ll be honest, I knew next to nothing about Trondheim when I moved here. 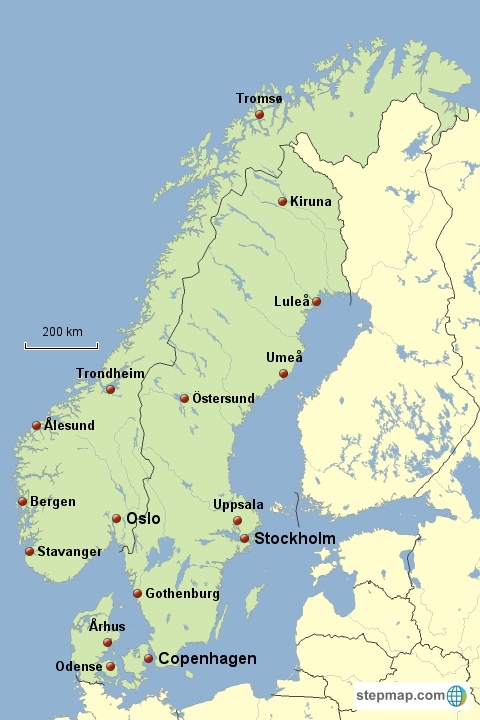 I knew it was a long way north, the football team Rosenborg plays here, and, well, not much more! Yet I’ve slowly learned to love my new home. It’s an overused cliché, but this is a small town with everything you need from a big city, and one in which history and modernity, the old and the young, live happily side by side. 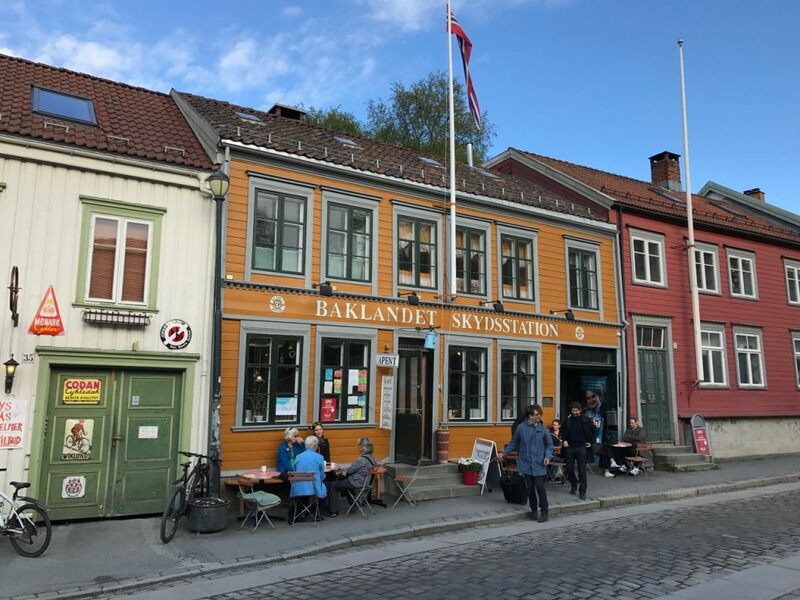 Every one of my friends who’ve visited prefers the city to Oslo and even Bergen, so let’s take a look at why that might be…. All photos by David Nikel. 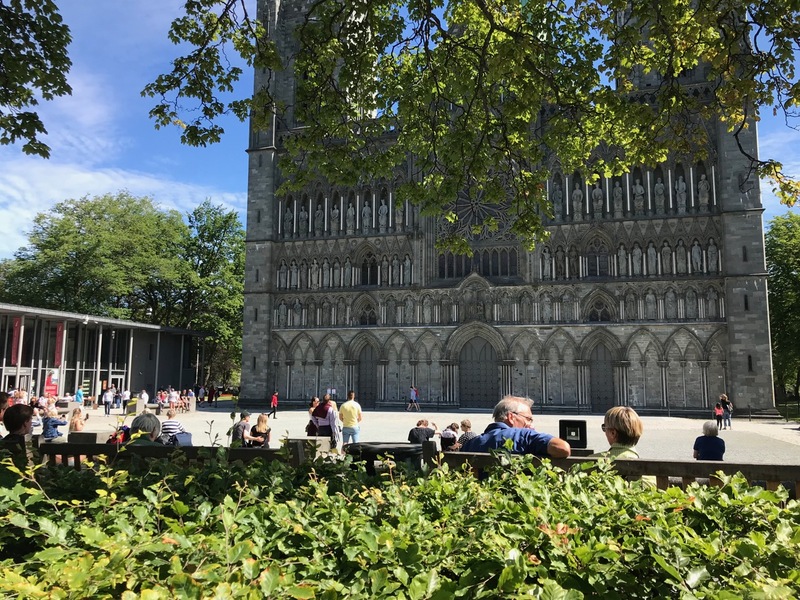 Even if the Christian faith means little to you, Nidaros Cathedral should be top of your sightseeing list. 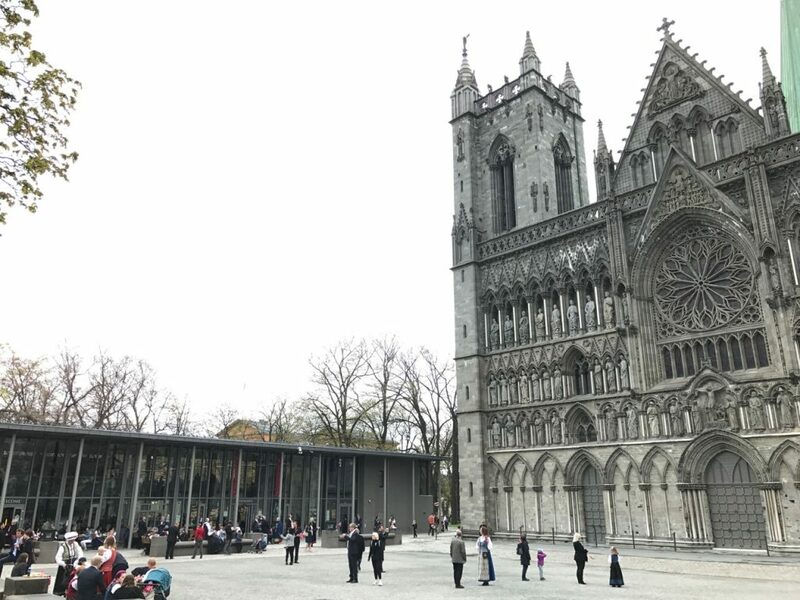 The world’s northernmost medieval cathedral is Norway’s most important religious building, marking the transition from Norse gods to Christianity. Built over the resting place of Saint Olav, the Viking king who played a major role in the transition, the building has been expanded and renovated several times over the years. Its highlight is the stunning sculpture-laden western façade, where you’ll find saints, historic figures, gargoyles, a variety of animals and a beautiful rose window all competing for your attention. If you have the time, a visit to the museum in the adjacent Archbishop’s Palace is a must, especially if you are interested in the building itself. Statues from the Middle Ages and findings from archaeological studies are on display, including the original floor of the Mint. There are so many stories within these walls that you could spend a full day exploring the cathedral and adjacent museums, but most people should be able to tick off the highlights in two hours. Norway is a country full of photogenic views, but the one of the river from the Old Town Bridge (Gamle bybro) is surely up there with the best of them. Part of the reason is its accessibility, just a few minutes’ walk from the cathedral. As you walk through the red gates marking the start of the pedestrianized bridge, the perfect view of the river unveils itself. Overhanging the water on both sides are the colorful old trading houses. Some have been restored and some haven’t, creating a mismatched patchwork of color that draws photographers – pro and amateur – in droves. On the other side of the Old Town Bridge are the cobbled streets of Bakklandet. Remarkable as it may seem, this charming neighborhood now populated with coffee shops, galleries and boutiques was almost torn down and replaced with a highway in the name of 1960s urban renewal. Local resistance – and common sense – prevailed, and the area has since been transformed. Despite the age of this neighborhood, it’s here’s where you start to notice how youthful Trondheim is. The street is the most direct route from the city center to the vast university campus and is filled with students at any time of day. Although ships are still made in Norway, the industry has long since departed from Trondheim. 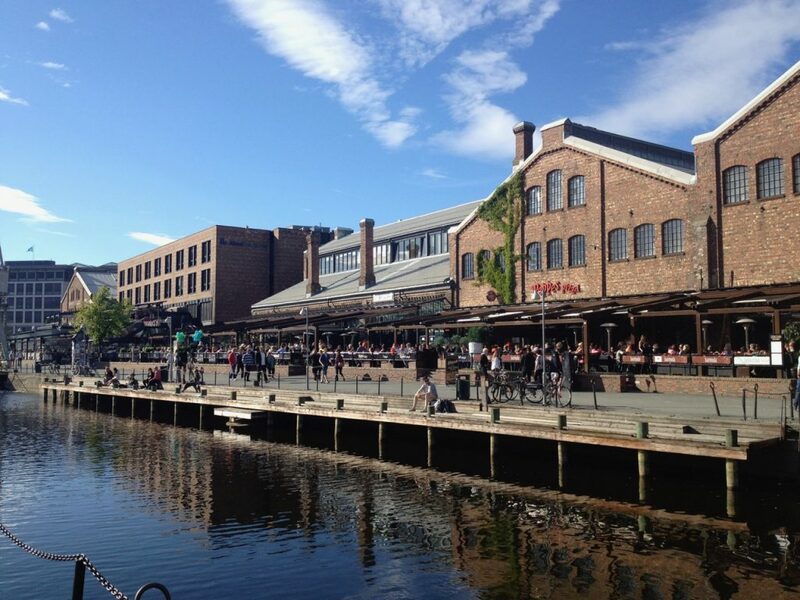 Formerly the home of Trondhjems Mekaniske Værksted (TMV), the Nedre Elvehavn neighborhood is now home to the Solsiden shopping mall and a strip of restaurants and bars, all with suntrap terraces. The nice aspect of Solsiden is how some of the heavy lifting machinery and other remnants of the former shipyard have been preserved, as a constant reminder of the area’s heritage. As an aside, although ship building no longer takes place in Trondheim, the city remains an important part of the industry’s future. Some of the world’s first autonomous vessels are being developed and tested in and around the city’s harbor. The Brattøra waterfront is fast becoming a symbol of modern Trondheim. Set within a former grain warehouse you’ll find a museum dedicated to contemporary music in Norway and beyond. But Rockheim is not about staring at instruments behind glass – although you can do that too. 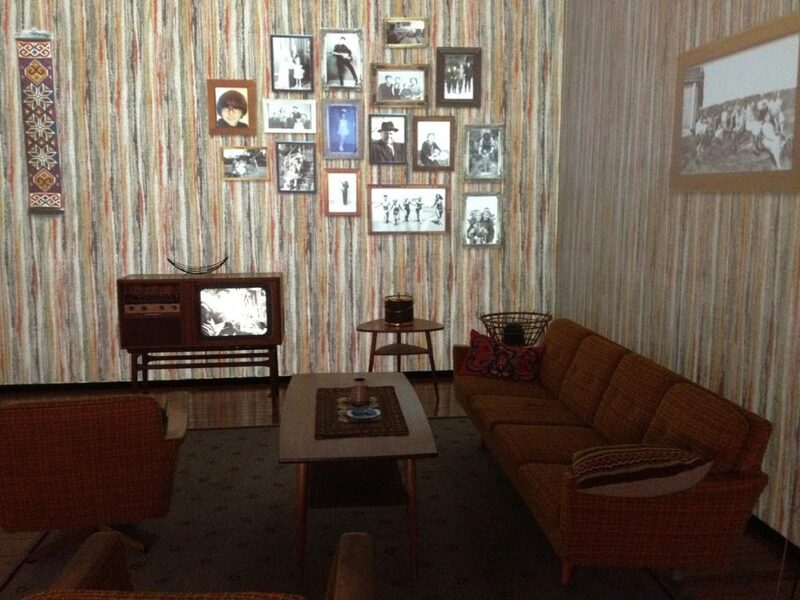 Its chief attraction is the Time Tunnel, a journey through Norwegian music via a series of interactive exhibits in heavily-themed rooms. One of Rockheim’s neighbors nearing completion is the Powerhouse, said to be Norway’s first energy-positive new building, meaning it generates more energy than it consumes. Its modern architecture is set to be a landmark building in a strip of new builds that is defining this youthful part of the city. A coffee with your pinball? If you didn’t get enough playtime at Rockheim, head downtown to Work-Work to complete your day. 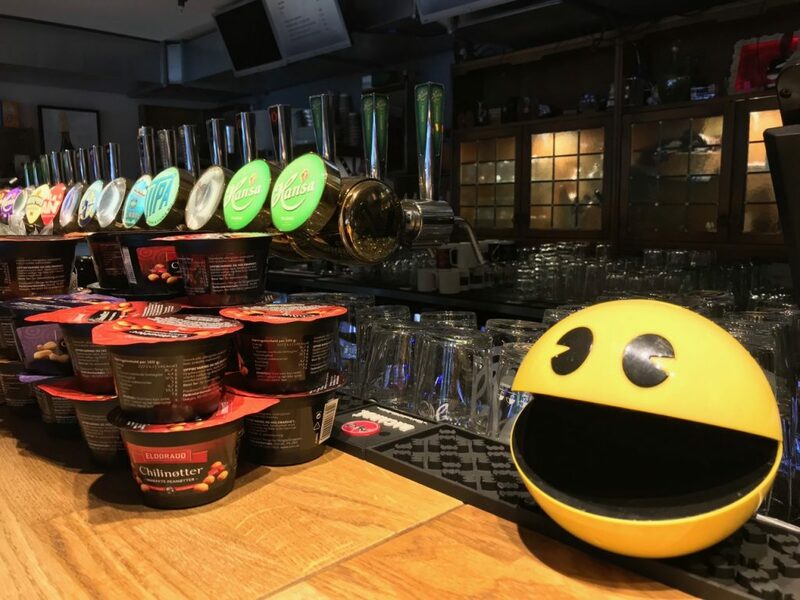 This gaming-themed café is a chilled place to grab an early afternoon coffee, but as the day draws on it’s the shuffleboard tables, pinball machines, games consoles and board game library that are the main attraction. You might even get to test out a game in development by the talented bunch of developers sitting in the creative lab upstairs. 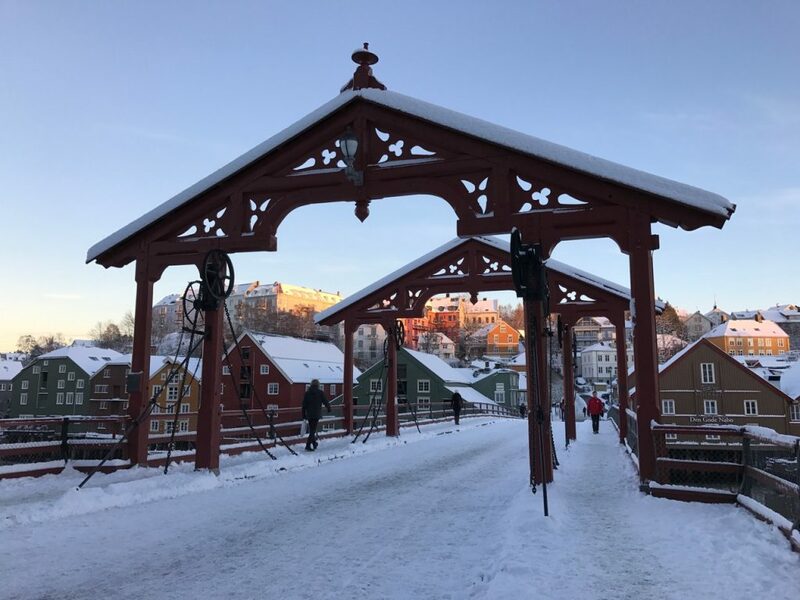 Whether you prefer to discover a destination’s history or enjoy the modern side to life, you’ll find both in Trondheim. In fact, the city is at its best when it combines the two. David Nikel is a British freelance writer who has lived in Norway since 2011. He is the author of the Life in Norway website and the Moon Norway guidebook, both of which have many more tales to tell about his adopted home city of Trondheim.